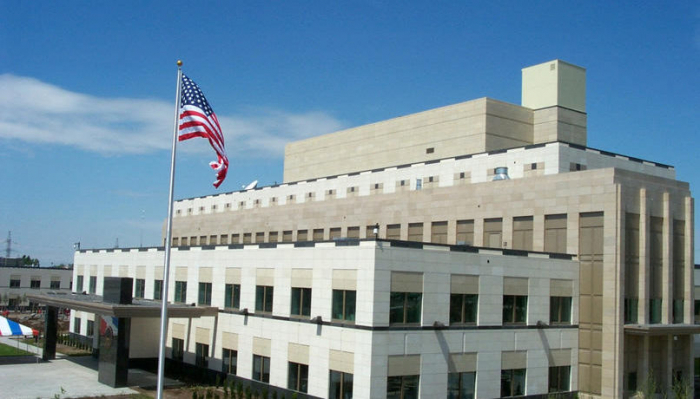 Some people were injured after a road accident Wednesay, nearby the US Embassy in Armenia, in capital city Yerevan. At 10:30pm, the 911 emergency hotline received a report that vehicles had crashed near the embassy, and that there was a fuel leakage. A fire and rescue squad was dispatched to the scene. It was found out that a two cars and a taxi had collided. An ambulance staff provided medical assistance on the spot to two passengers of the taxi. And the rescuers stopped the fuel leakage.